I absolutely adore the McLaren P1 LM and I’m not afraid to admit it. Every chance I get to write about it I jump on it. I recently spoke about the P1 LM being spotted going balls to the wall at the Nurburgring with Kenny Brack behind the wheel and all the speculations of shooting for a lap record that went along with that. And now it gives me great pleasure to report that Lanzante just announced that not only did the P1 LM beat the Lamborghini Huracan’s time, it straight annihilated it. It even beat the all-electric Nio EP9’s time by a significant margin. Maybe I’m biased, but this doesn’t surprise me at all. I knew when I first learned about the P1 LM that it was a very serious, extremely special machine, and that it was more than capable of crushing the lap record whenever it wanted to. And now it has. If you remember, the Huracan Performante’s lap record was 6 minutes 52 seconds. And to give credit where credit is due, that is a seriously impressive time. To beat the Porsche 918 by a full five seconds is no easy task by any means. With that being said, the lap time put down by Brack and the mighty P1 LM is beyond impressive. According to a video released on the Lanzante YouTube page this morning, Brack managed to throw down a staggering lap time of just 6 minutes 43 seconds! That is almost 10 seconds quicker than the Huracan! To beat a lap record at any track by that much is extremely uncommon, and even more so at the Nurburgring. Apparently, the specific car that was used for shattering the record was actually the prototype car that’s been in development since day one. 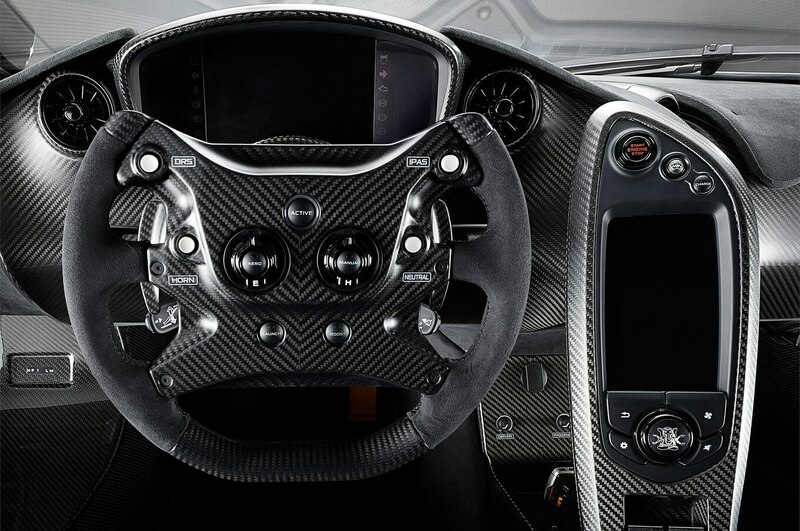 Now if you wanted to get technical, you could argue that its sort of like comparing apples to oranges when comparing the P1 LM to the Huracan Performante. That’s because the P1 LM isn’t really a production car in the same way that a Huracan is. So maybe it’s better to compare it to the NIO EP9 which recently set a blistering lap time of 6:45 thanks to its highly sophisticated electric powertrain producing an ungodly amount of power and torque. But even then, the wicked P1 LM still beat the time by a full two seconds. As impressive as the 6:43 lap time is, what makes it even more appealing to me personally is when you learn that after this very car dominated the ring, it jumped on the highway and drove all the way back to its home in the United Kingdom! If that doesn’t peak your interest I’m not sure what will. Here is the video released by Lanzante that shows the entire lap from inside the car, and wow what a ride that must’ve been. It’s a good thing that Kenny Brack is so talented behind the wheel and with this car specifically, which he’s proven time and time again by destroying records all over the place. Take the Goodwood Festival of Speed for example.